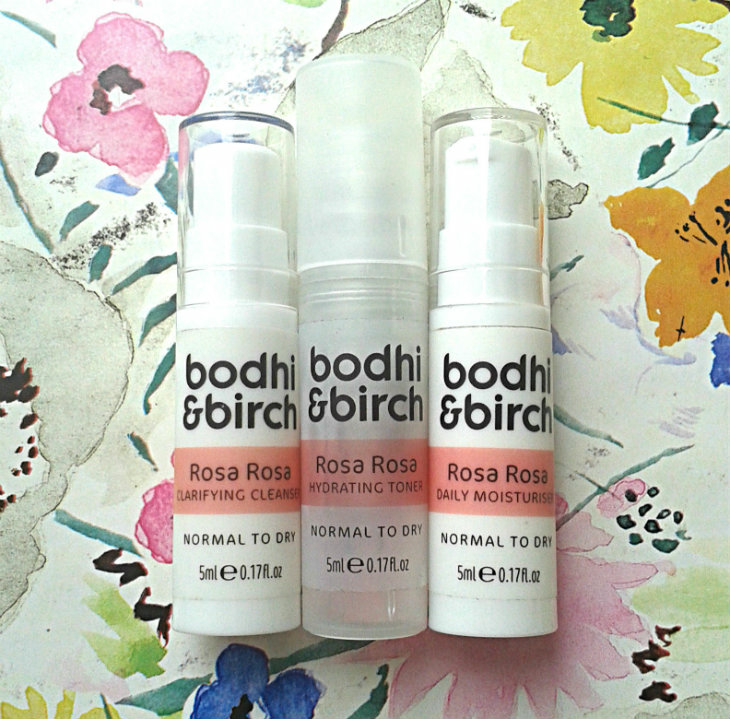 Bodhi and Birch is a brand I’ve read about frequently on Sandra’s blog, but was yet to try until now, and I’m happy to report that I’ve been loving the trio. The parcel actually arrived on my birthday, too, so it felt like double the treat. I’m not a fan of foaming cleansers normally, but this one is so gentle I’ve made an exception. My spots started drying up quicker once I started using it, so the clarifying part is right, and it doesn’t strip skin at all — it’s just really light and lovely. I would suggest using it as a second cleanser, just to make sure every last scrap of make-up has been removed. The scent reminds me of frangipane, of all things, to the point it made me hungry. I’ve been spritzing it on a cotton pad and swiping it over my face, which is very refreshing. Like the cleanser, it’s light on skin, but unlike the cleanser it runs out quickly. Aah, my favourite of this trio. Light, non-greasy but still hydrating, it’s perfect in the morning when you need something that absorbs quickly. And don’t be fooled — the sample bottle may be tiny, but the product lasts for aaaages. Have you tried anything from Bodhi and Birch? Let me know in the comments.